Governor Abdullahi Ganduje of the ruling All Progressives Congress (APC) is leading in the Kano governorship election based on the number of results announced so far by the Independent National Electoral Commission (INEC). There are 44 local government areas in the Pyramid state. 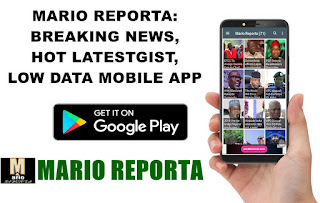 Mario Reporta reports that Ganduje’s APC won three of the four local government areas so far declared by the electoral umpire on Sunday morning. The governor won in Albasu, Bebeji, Bunkure, and Karaye, while his main rival, Peoples Democratic Party’s Abba Kabir-Yusuf won in one. Returning Officer for Albasu local government, Prof. Mustapha Hassan-Bichi, said that the APC candidate won with 25, 358 votes to defeat his PDP opponent, who polled 18, 401 votes. Similarly, the Returning Officer for Bunkure local government, Prof. Nuraddeen Magaji, announced that the APC candidate won the election with 20, 271 votes to defeat Abba Kabir-Yusuf of PDP, who scored 19,932 votes. Announcing the results for the elections in Karaye local government, the Returning Officer, Prof. Bello Idris-Tijjani, said that the APC governorship candidate, Ganduje, won with a total of 18, 770 votes to defeat his PDP candidate counterpart, Abba Kabir-Yusuf, who posted 17, 163 votes. But in Bebeji local government, the PDP candidate defeated his APC counterpart, as Returning Officer for the local government, Prof. Ibrahim Barde, said Kabir-Yusuf won with 18,533 votes with Ganduje securing 17,418 votes.